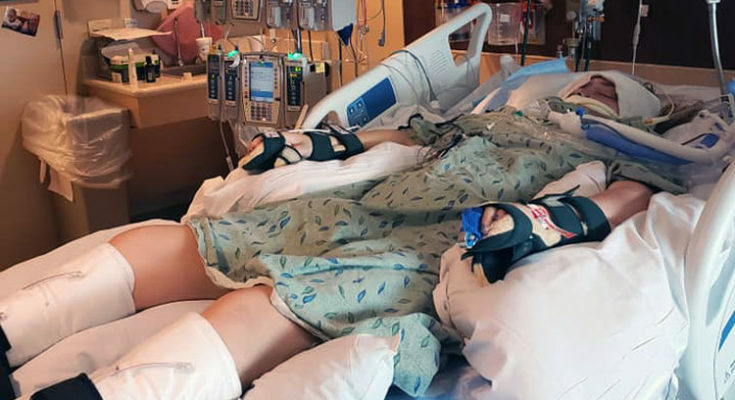 Contributed Photo: Hannah Blake, 15, lies in her bed in the Pediatric Intensive Care Unit at Banner-University Medical Center Tucson. Hannah suffered a traumatic brain injury in an automobile crash with no possibility of healing. TUCSON – Hannah Blake, 15, will never graduate high school, get married or raise a family, but the generous donation of her vital organs may give life to those who otherwise could have died. Hannah was a rear seat passenger in a car of friends between the ages of 15-17 as they left a birthday party in Pima on Saturday, Nov. 24. 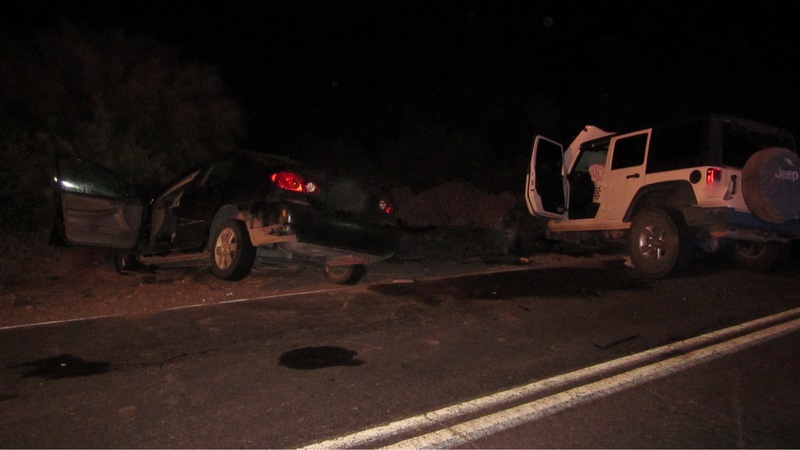 They were headed to a residence in Safford when the driver of the vehicle she was in overcorrected and ended up in the oncoming lane. Another juvenile driver was headed home from work in the opposite direction in a white Jeep and the two vehicles collided in the 6500 block of W. Safford/Bryce Road. The collision is still under investigation. First responders were dispatched to the scene at about 10:25 p.m. and performed a tracheotomy on Hannah because both of her lungs had collapsed and they were unable to intubate her due to her facial injuries. She was airlifted from the scene to Banner-University Medical Center Tucson. Contributed Photo/Courtesy GCSO: This Sheriff’s Office photo shows the wrecked vehicles after the impact. Three other juvenile occupants of the vehicle Hannah was in were initially treated at Mt. Graham Regional Medical Center. Two of those patients were reportedly then airlifted from MGRMC to UMC, including a juvenile male who had to be cut out of the car. The juvenile driver of the Jeep did not suffer any major injuries, according to the Sheriff’s Office. At UMC, it was learned that Hannah had a traumatic brain injury and suffered from oxygen deprivation for about 30 minutes. The swelling of her brain forced trauma surgeons to perform a craniotomy (the removal of part of her skull) and she was placed into a medically-induced coma. Recently, the coma drugs were confirmed to be out of her system, yet Hannah remained on a ventilator, unable to breathe for herself. 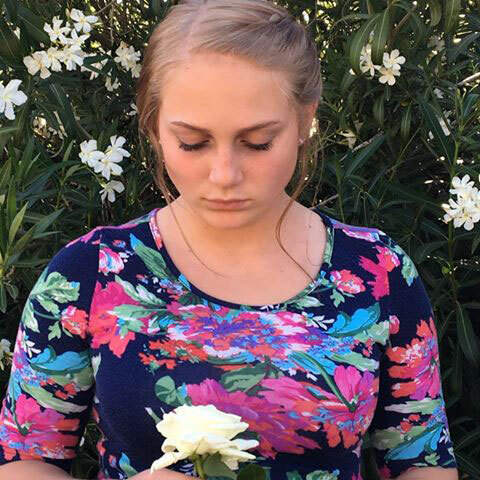 A subsequent MRI taken Tuesday showed the damage to Hannah’s brain was more severe than initially thought from CT scans and that there was no possibility of it healing or the ability to keep her alive without life support. Her family made the choice to donate her organs to help others in need, and when donors are matched Hannah will be taken off life support. The family said a memorial will be held for Hannah at a date yet to be decided after the organ donation is completed. Those who can help the family in this time of need can read Hannah’s story on her GoFundMe page here.